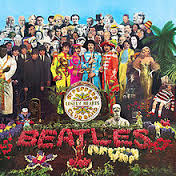 I wish everyone could have experienced, in person like I did, the incredible explosion of music creativity that occurred from 1965 through 1968. Here are my top 10 favorite psychedelic songs from the 1960s. By top 10, I don’t really mean best songs, I mean if I was going on a road trip and could only bring along 10 psychedelic songs, these would be the ones. Comments: “In-A-Gadda-Da-Vida” (Iron Butterfly, 1968) is iconic but doesn’t make my top 10. “Friday on my Mind”, (Easy Beats, 1966) is a great song, but in my mind, more pop than psychedelic. I like the Doors, but none of their psychedelic songs are among my favorites. I was never a huge Jimi Hendrix fan so I’m not experienced. On another day, well-known songs from Cream (“Sunshine of your Love”), the Yardbirds (“Over Under Sideways Down”), and Jefferson Airplane (“White Rabbit”) would probably have made my list. “White Bird” (It’s a Beautiful Day) is an unusual but interesting song, but a bit too slow-paced for road trip music. “Just Dropped In” (First Edition, 1968) gets put on many worst-of lists, but I like it. “Hush” (Deep Purple, 1968) is one of my all-time favorites but not really psychedelic I think — every time I hear that song I remember my best friend Rob Carroll and I driving around in Anaheim, California. “Sunshine Superman” (Donovan, 1967) is another interesting song but is not something I’d like to hear more than once in a while. Love – Alone Again Or – Very Nice! Incense and Peppermint, a Classic. Thanks for sharing!